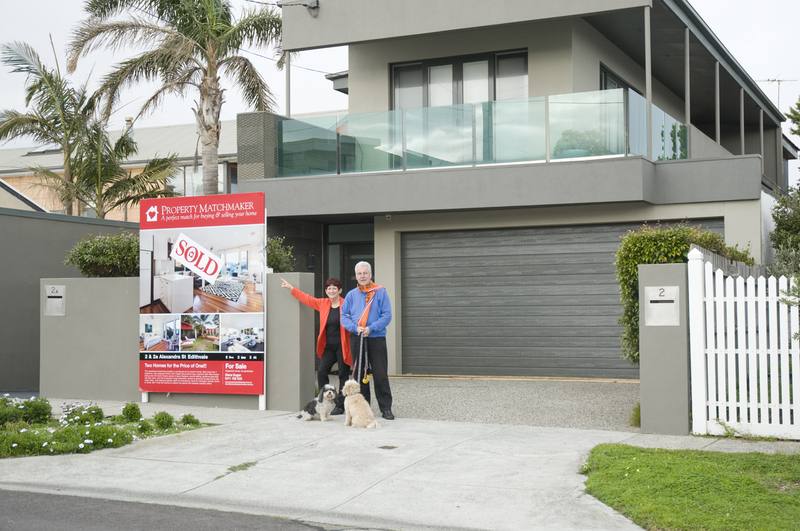 Ann and Bob were thrilled to move into their beautiful new home in Edithvale on October 2nd. In a perfect location, only 4 houses from the beach with a balcony looking out onto the Bay. The house features polished timber floors, luxurious garden retreat and a fully equipped kitchen with Caesar Stone bench tops. The house has 3 double bedrooms and study, double entry door master with en-suite and walk in robe, modern bathroom with spa bath. The kitchen leads onto a spacious light filled lounge dining area with stone gas fireplace and central heating. They can’t wait to invite friends over for a drink on their balcony and enjoy the beautiful sunset views.